The genus of the story comes from CookingLight magazine, that’s right… a cooking magazine! We were intrigued when the magazine published some click bait about America’s most hated grocery store. That lead us to Wall Street 24/7’s 2019 list of the nation’s most hated companies. Our law firm has long championed the little guy. We started out suing banks and mortgage companies and today we seek to right all sorts of corporate misconduct. So where better to look than the companies ranked worst by consumers and / or the companies’ own workers. Clocking in at number one on the list is FaceBook. The social media giant earned its way to the top spot by mishandling data security and customer privacy. Our concerns about FaceBook focused primarily on their corporate policy of prohibiting victims of sexual harassment from filing a complaint in the court. That’s right, FaceBook and many other big companies don’t let their employees sue. Of course, why should they even be worried if nothing wrong is happening. In November 2018, FaceBook rescinded its no sexual harassment lawsuit policy. So did Google and Uber. Unfortunately, many law firms still won’t let their employees sue for harassment. We don’t handle data breach cases unless involving banks or defense contractors. But we are always interested in protecting workers against sexual harassment, unwanted sexual touching and assaults. Visit our sister site, Sexual Harassment Law, for more details. Pharmaceutical giant Eli Lilly clocks in at number two. When we think of bad pharmaceutical companies many think of “Pharma Bro” Martin Shkreli and his stupid smirk. He finally apologized for his arrogance but that didn’t stop him from getting sentenced to 7 years in prison this past May. We certainly aren’t sad to see him go but he was just a bit player that happened to thrive on bad press. The big pharmaceutical companies like Eli Lilly and Pfizer are the real threats to patients. We think big pharma puts profits before patients. Insulin prices have tripled in years and mysteriously there are no generics to help cash strapped diabetics. And who is profiting from these ridiculous prices rises? Eli Lilly. Companies can change their prices but California law requires pharmaceutical companies to justify large price increases. Instead of simply explaining the rationale for these big price jumps, Eli Lilly decided to challenge the law instead. We guess they can find absolutely no justification for the price increase. How can you help? We are first and foremost a whistleblower law firm. Eli Lilly probably made the most hated list because of customer complaints related to unconscionable drug price increases. We do not like them because they are poor corporate citizens. In 2009 the company was fined $1.415 billion for illegal off label promotion of drugs. Doctors are free to prescribe drugs for off label use but drug companies aren’t supposed to market their products for uses not approved by the FDA. Before a drug can be sold for a particular condition or disease, the manufacturer is required to obtain FDA approval. Many pharmaceutical companies side step that process by getting a drug approved for one use but then promoting it for many others, often without the required studies or testing to make sure it is effective. The 2009 Eli Lilly case was brought by whistleblowers. For their efforts they were paid an award of $78 million from the U.S. Department of Justice and an undisclosed amount from many states. Because most pharmaceuticals are covered by Medicare, Medicaid or Tricare, pricing violations, off label marketing, illegal kickbacks or adulterated products can give rise to whistleblower rewards. Vice bills itself as the edgy hip alternative media outlet. Millennials, however, give it similar “coolness” grades to that of the Wall Street Journal. Wow, not cool! What interests us is the frequent sexual misconduct reports that keep slipping out of the company. Good leadership normally starts at the top of an organization but both the president and chief digital officer were placed on leave after harassment and misconduct allegations. Several others were also caught up in similar allegations. The New York Times did an in depth expose of the company’s culture aptly described as cutting edge media and old school harassment. Besides defending whistleblowers who suffer harassment, our nationwide network fights for employees who suffer from sexual harassment and misconduct. Visit our sister sexual harassment site for more information. Juul has received so much bad publicity that we wonder if the company can survive much longer. We also said that about Wells Fargo, Bank of America and Ocwen and they are still menacing the country. Although we don’t have any active investigations, we are ALWAYS happy to speak with insiders. Some of our best consumer class actions cases have come from insiders. And every once in a while, we can build an IRS or SEC whistleblower case and earn our clients large cash rewards. The Redskins took us a bit by surprise but we did read that some of the team’s cheerleaders claim they were asked to act as escorts for VIP sponsors. Are the allegations true? We don’t know but our partners in Houston are already representing the Texans’ cheerleaders who accuse the team of not properly paying them. If your employer isn’t paying you overtime, visit our FLSA Wage Theft information page. We have long listed Frontier Communications as one of our target employers. That they are on the official Wall St. 24/7 list doesn’t surprise us. Consumers hate them and so do employees. Or should we say “independent contractors” since the company has been locked in legal battles over the alleged misclassification of employees as contractors to avoid minimum wages, overtime and benefits. Once again, visit our FLSA Wage Theft page if you aren’t being properly paid. Simply because your employer says you are a contractor or exempt from overtime doesn’t mean it’s true. Once again, a company with a failed corporate culture. Like Vice, the allegations of sexual harassment begin with now former CEO Les Moonves. Some industries like entertainment and the service industry are more prone to sexual harassment incidents but we take consider cases from anywhere. See our sister site’s information on entertainment industry sexual harassment. The worst customer experience in the domestic airline industry? We aren’t shocked that Spirit Airlines got stuck with that dishonor. Whether it is unpaid overtime, sexual harassment or dangerous maintenance lapses, we are interested in hearing from airline employees. Airlines with good customer satisfaction tend to have happy employees. If you are at the bottom of the ratings heap, however, chances are you will find poorly treated workers. We suspect Spirit Airlines’ workers are as dissatisfied as it’s customers. Wells Fargo – America’s Most Hated Bank? 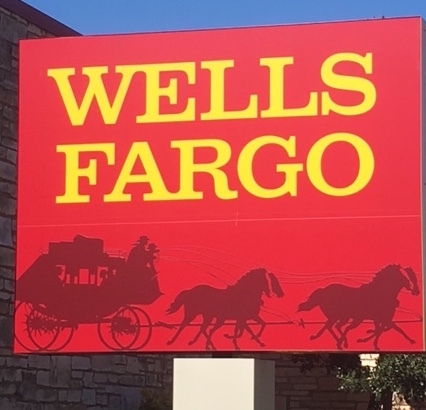 With all that has happened in recent years, we are shocked that Wells Fargo came in at number 9. We would have awarded them a -47. Whistleblowers who report misconduct by federally insured banks are eligible for rewards under the Financial Institutions Reform Recovery and Enforcement Act of up to $1.6 million. Not a bad day for doing what everyone wants to do, blow the whistle on bad banks. Visit our bank whistleblower page to learn more. Just because we dislike Wells Fargo doesn’t mean we don’t love their employees. We are already pursuing a class action on behalf of bank workers that didn’t receive overtime pay. Number 10 on the list is GE. Never have we have seen a such a major U.S. industrial company fall so quickly. With hundreds of millions in government contracts, GE is no stranger to government contracting fraud. Last year the feds collected $6.6 million from GE Aviation Services after a whistleblower stepped forward and reported that his employer was cutting corners on a defense contract. Last year GE Hitachi also paid millions to the government after allegations surfaced that the company was allegedly covering up design flaws in a nuclear reactor being built for the Department of Energy. Several years earlier, the GE was fined $30 million of dollars over allegations that the company overbilled Medicare for a radiopharmaceutical. Despite the cute baby shampoo advertisements, Johnson & Johnson is an evil company. In our humble opinion they have been peddling dangerous asbestos laden baby powder for decades. Worse, they knew about it. The original baby powder comes from talc. And whenever you mine talc you usually find asbestos. It takes an infinitesimally small amount of asbestos exposure to cause cancer. In baby powder cases, the powder can be inhaled into the lungs or women can use it in intimate areas where it can cause ovarian cancer. J&J has steadfastly denied its products are dangerous but cancer victims have been awarded over one billion dollars in damages. The company is appealing. We have written extensively on baby powder cases. We seek both cancer victims and insiders (whistleblowers) who may be able to help us find the smoking gun. The opioid epidemic is real. Overdoses have become one of the leading causes of death in the United States. While much of the opioid drugs (heroin and fentanyl) are smuggled in from outside the United States, many people first got addicted on these dangerous drugs through prescription painkillers. Purdue Pharmaceuticals, maker of OxyContin, already paid the government $634 million. That was several years ago but the next generation of lawsuits may yet put the company out of business. There are already hundreds of lawsuits pending against Purdue. Our investigation is focused on those shady pain management clinics that dispensed oxy’s like it was candy. We are always looking to speak with potential whistleblowers and other insiders. Our goal is to stamp out the shady pill mills that cause so many lives to be lost. In the right circumstances we may take an individual case for a soldier or teen that became addicted because of poor medical care. Pacific Gas & Electric is believed to be responsible for billions of dollars in damages, the loss of thousands of homes, the destruction of entire communities and the death of dozens of Californians. Experts and some judges have said that poor line maintenance lead to several of the recent deadly fires in California. Since we wrote our several stories on PG&E and the California wildfires, the company just announced it was filing for bankruptcy protection. Hopefully they will become better corporate citizens going forward yet no court can ever undo the devastation wrought by the company. While we probably can’t do much at this point with PG&E, we are always looking to speak with utility company insiders who have knowledge of poor line and right of way maintenance. We are but one law firm dedicated to taking on corporate greed and misconduct. With your help, we can all make a difference. 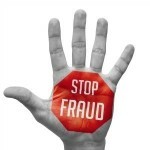 If you are an insider and know of fraud or misconduct, give us a call. Our goal is both to see if we can earn you an award and of course, stop the wrongdoing. filing complaints with regulatory agencies like the CFPB or calling hotlines usually doesn’t work. There are not enough agents and investigators to investigate the hundreds of thousands of complaints received. We can make your case go to the top of the list, however. The same applies if you are a victim of misconduct. We don’t handle individual lender liability (bank) claims but we and our network can help if you are the victim of sexual harassment or were hurt by a dangerous product / drug. or by phone at (202) 800-9791.